Digital video is now ubiquitous, but what about those VHS and DVD recordings of yesteryear? If you don't have a specialized player for your cassette or disk, you won't be able to play it at all. Which is why you should turn their contents into digital files using the Video Digitization Device and Editing Software Package—now nearly 70% off in the TechnoBuffalo Deals Store. 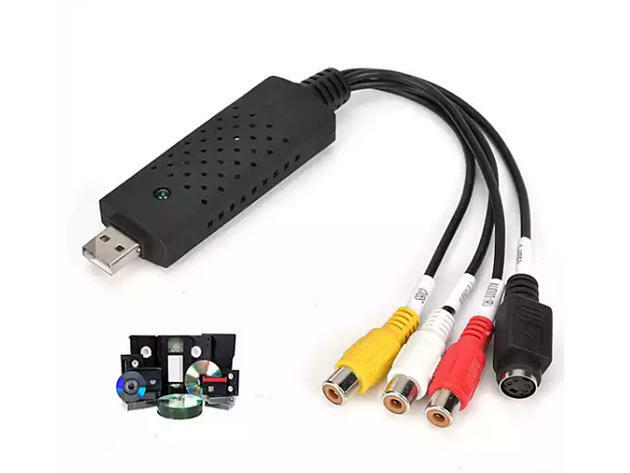 This powerful analog-to-digital conversion hardware lets you easily transfer old VHS and DVD videos straight to your computer, so you can open them with a single click. Plus, after you're done, you can use the included editing software to cut, polish, and combine clips to your liking, so that you can create a customized movie or montage. And since you'll have digital backups for all your hardcopy videos, you won't have to worry if you ever lose or damage any one of your old VHS videos or DVDs. We recommend uploading to the cloud once you've finished digitizing your files to further safeguard your most cherished recordings. Bring your VHS cassettes and DVDs to the 21st century: grab this Video Digitization Package for just $20.99, marked down from the regular $69.95.